Pagan Books-Pagan books can teach and inform the practitioner about many aspects of the Pagan path. Paganism is one of the oldest religions and it is where Wicca and Neopaganism stems from. Neopaganism in modern times is mostly established around the worship of nature and the elements and is usually associated along with Wicca and Witchcraft. Pagan books can help broaden a practitioners knowledge of this ancient and highly magickal religion. Wiccan Books-Wiccan books can help one learn about Wicca including the history, meaning, and aspects of this religion that has become widely popular over the years. Wicca is stemmed from Neopaganism and was made more into the mainstream by Gerald Gardner who is considered the father of Wicca. Many wiccan books hold not only lore about the the religion but also spells, rituals, and beliefs. 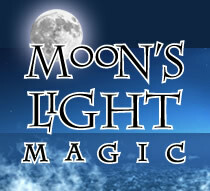 Wiccan books are cetainly and essential resource in any practitioners practice.